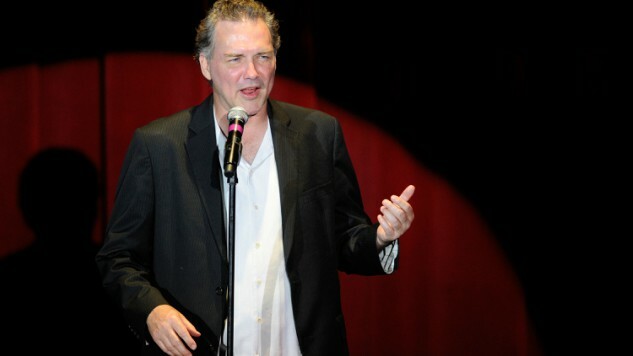 Norm Macdonald is finally getting a talk show of his own. Announced via the comedian’s Twitter today, Norm Macdonald has a Show is coming to Netflix. The streamer ordered 10 episodes, marking their latest in a series of comedy talk shows, following The Joel McHale Show with Joel McHale, a pair of forthcoming shows from The Daily Show alums Hasan Minhaj and Michelle Wolf, Chelsea Handler’s short-lived Chelsea and David Letterman’s My Next Guest Needs No Introduction. Letterman, as it happens, will serve in some sort of creative and/or advisory role on Macdonald’s show, but was jokingly listed as the “location scout,” per the announcement. Macdonald will serve as co-showrunner and executive producer alongside Lori Jo Hoekstra, who executive produced Macdonald’s podcast Norm Macdonald Live. Norm Macdonald Has a Show is produced under Macdonald’s production banner Anchor Spud Productions, along with Pygmy Wolf Productions and Lionsgate Television. A comedy veteran, Macdonald famously served as a “Weekend Update” anchor for three of his five years on Saturday Night Live, starting in 1993. He’s served as a writer on Roseanne and on the show’s revival, and was a judge on the show Last Comic Standing. Macdonald has made film appearances in Billy Madison and Dr. Dolittle, among many others. No word yet on when the series will premiere, but check back for updates and see Macdonald’s funny Twitter announcement below.